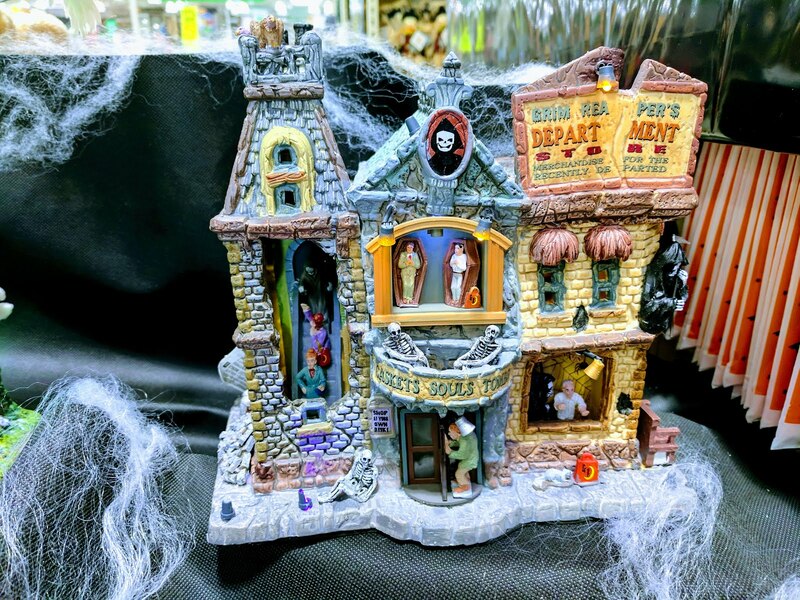 Last week, I showed off the first 2017 Lemax Spooky Town structures at Menards in their new Halloween display. 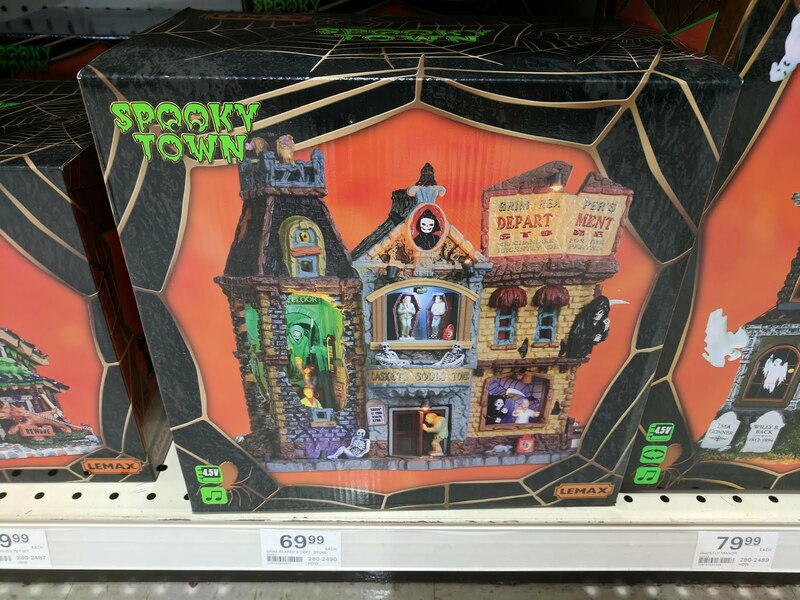 That one was animated and was called Ghostly Manor. Today, I'm posting a few photos of another large structure called The Grim Reaper's Department Store. This one is in stock at Menards and is listed for $69.99. Mantleburg doesn't have a department store, but I'm not sure that the Mayor is going to annex this one, despite the uptick in sales tax revenues that would certainly come along with it. This particular structure doesn't move or isn't animated, but it does have it's own, original soundtrack (with announcements and noises and such) and it has some interesting lighting effects.